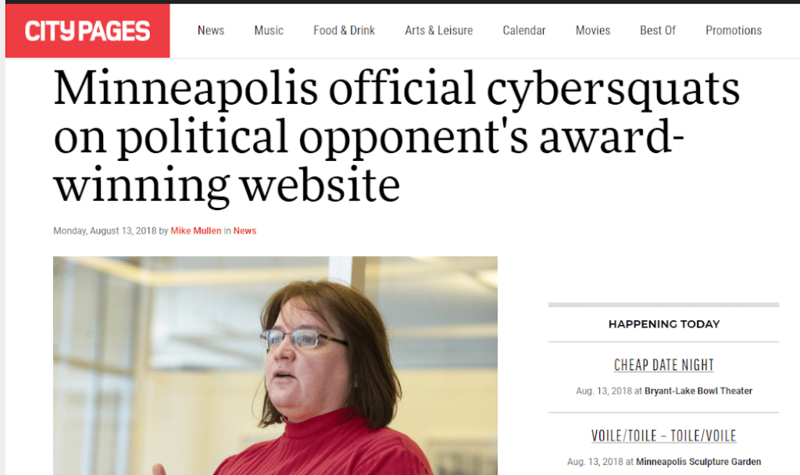 Maybe you’ve heard: a local elected official named Carol Becker is “behind an effort to file business and trademark registrations for Wedge LIVE!” (which is me, the guy you’re reading right now). Becker currently serves as President of the Minneapolis Board of Estimate and Taxation. This appears to be an unlawful effort to shut down speech she doesn’t like. It is my intention to take steps in the meantime that would prevent her from doing that. Here’s a countdown clock so we can all prepare.